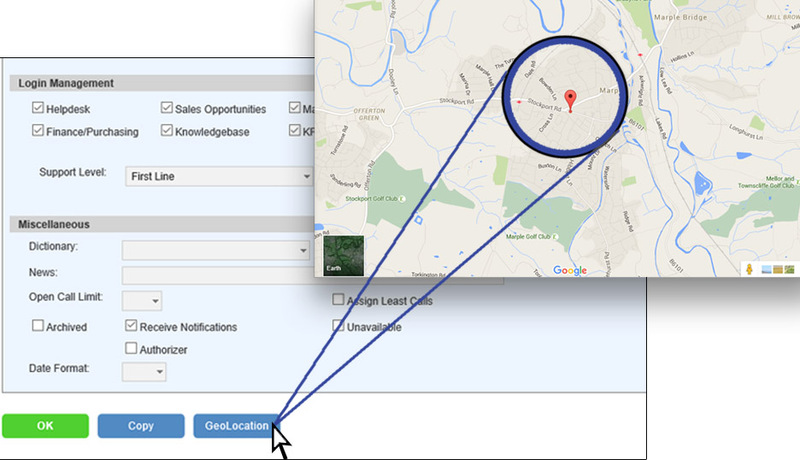 Instantly discover the location of Customers and field Engineers. Particularly useful for Service Desk Agents who are coordinating Engineer visits to Customer sites, SupportDesk’s helpdesk Geolocation functionality automatically updates the location details of Users when they are logged in to the helpdesk portal. With so many organisations operating across multiple sites, and with Customers hot-desking or working from remote locations, the ability to track the whereabouts of the logged-in Customer makes it easy to direct Engineers to the correct location in order to perform on-site machine repairs. Helpdesk Geolocation functionality can also be used for instantly tracking teams of Engineers, as Service Desk Agents can tell who is closest to a Customer requiring attention, or for Facilities Management systems, who is nearest the site that requires building maintenance. If you would like to find out more about SupportDesk’s helpdesk geolocation functionality, please get in touch to speak to a House-on-the-Hill Software consultant today!